Yes! 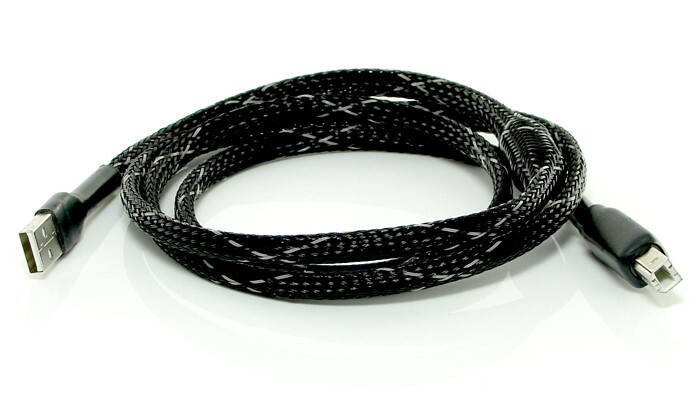 In our opinion Lautus interconnect cables will make a difference to your bass (keep reading—all will be revealed!). 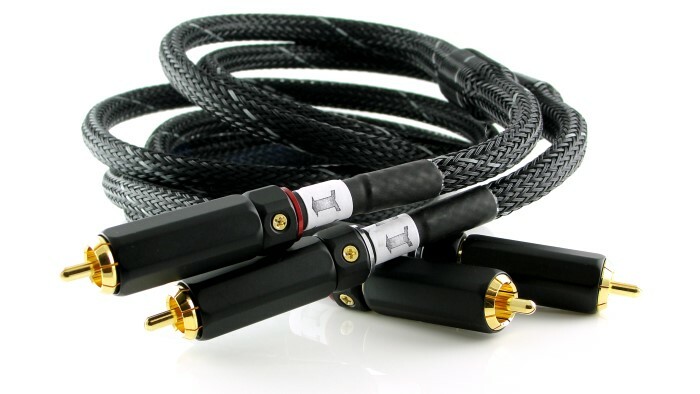 It's not only a wonderful sounding stereo audio cable - it will also keep interference at bay* and will give you a really well-balanced sound quality. And compared with some interconnects the Lautus is terrific value for money. 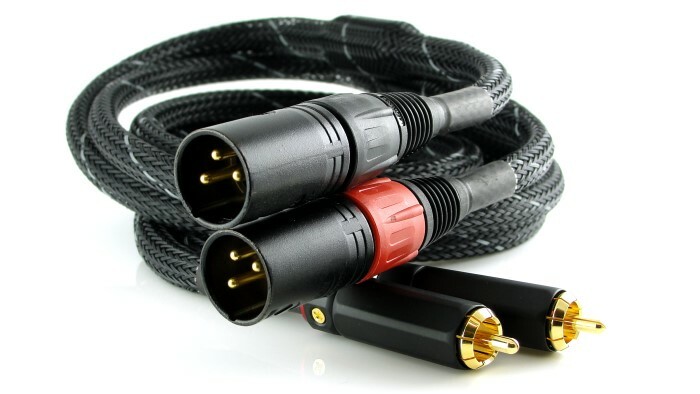 Available in stereo "dual-mono" pairs as an RCA to RCA interconnect from 1.5m to 3m in length – a single cable is also offered which is suitable for 75&ohm; coaxial S/PDIF use. There is also a 1.2m long USB-Audio version, and a "Power-Wire" suitable for the Bitzie USB DAC (click through for details). We must point out that the idea behind the Lautus is pure theory and is yet to be scientifically tested. EMC legislation highlights the fact that we live in a world of ever-increasing interference. The interference with our precious audio signals comes from the proliferation of wireless devices. It also comes from "green-energy" power-supplies which emit and therefore must transmit at least some of their ultra-high frequency distortion. And because legislation demands it, "green energy" devices are everywhere. Interference can "land" on cables and pass into your equipment where it can mix with the high frequency harmonic distortion all amplifiers and preamps will have to some extent. Because of radio we understand that a modulated frequency, when mixed with another frequency, can produce a sound at a frequency we can hear. For example: an amplifier which isn't effectively immune will sometimes accidentally "tune" to a radio station which you'll hear in the background. Most people will have come across this at some time. This demonstrates the need for cables to have effective shielding to prevent this happening and the Lautus has that effective shielding (or screening as it is known in some circles). But the Lautus has more. It uses ferrite filters placed at positions along the cable which were found to give the best subjective results. And those results were that the bass felt deeper - became clearer - more well defined. Not louder - just more complete. As we said above, all amplifiers and preamps will have some high frequency harmonic distortion, and in addition to that there will always be some instability no matter how well an amp or preamp is designed to avoid it, because no electronic component is perfect - they all have what are known as parasitics. The frequencies output from one type of preamp or another, or a DAC, or any piece of electronics that outputs an analogue signal, or even a digital signal such as S/PDIF or USB, will not be absolutely pure. All signals have added distortion artefacts and together these are sent in cables. It is current flow and all currents flow in circles. In coaxial cables they go by the signal conductor and return by the shield (or should do if proper cable design practice is followed). The source is the return (Kirchhoff's current law) so the signal in the cable has its origin or node just behind the socket of the source equipment. We know that effective shielding prevents outside interference mixing with our signals but the source is also "sending" interference on top of its signal inside the cable. We'll call it high frequency distortion or harmonics, and when that mixes with the harmonics produced by the receiving equipment (such as an amplifier), by the same "radio effect" as discussed above, false audible frequencies "fall-out" - new noises emerge which aren't any part of the original sound. Remember this by Keith Armstrong from the Interconnects & Cables category page? These new noises tend to be at high audible frequencies and often go unnoticed, but upset the top to bottom sound balance and more often than not, the bass suffers - it appears "thin" or overly "tight". The ferrite filters on the Lautus are placed at two measured positions away from the signal origin where theory says the first anti-nodes of wavelengths for frequencies at 100MHz and 200MHz happen, based on the propagation velocity of the cable type being used (the Lautus S/PDIF and USB has only one ferrite). These anti-nodes will not be the exact anti-nodes for all high frequency harmonics generated in the source equipment, but are the common frequencies of analogue and digital broadcasts, which can easily "travel through" source electronics. Lower high frequency harmonic waveforms will be rising toward their anti-nodes at the ferrite positions so will have an effect on these too. The theory says that the ½ turn transformers formed by the ferrites short the send and return frequencies to which the anti-nodes are "tuned" and a short circuit prevents current flow. These positions also become the new origins of the source at those frequencies due to the "shorts" - after which the signal should be much clearer. We would like to emphasize that all the above is at this time pure theory which has not yet been scientifically tested, and the results the user may find can only be subjective. [Lautus USB] Impressive response seen in bass like never before. Lows now go very deep, and are full bodied & very accurate when heard on K702. . . The level of details & transparency. The Lautus simply disappears from the chain, simply delivering an extremely clean and very transparent signal to the DAC. Due to this, a lot of power is being saved at volume knob, previously I used listen to my headphones at 12 o’ clock on volume knob, and now I feel same level of loudness is achieved a little earlier. . . Especially Depth & layering have increased. Increment in imaging, & placements across all frequencies when heard on high end headphones. These improvements are at the margin of about 20-30% more when compared to basic or stock cables. . . 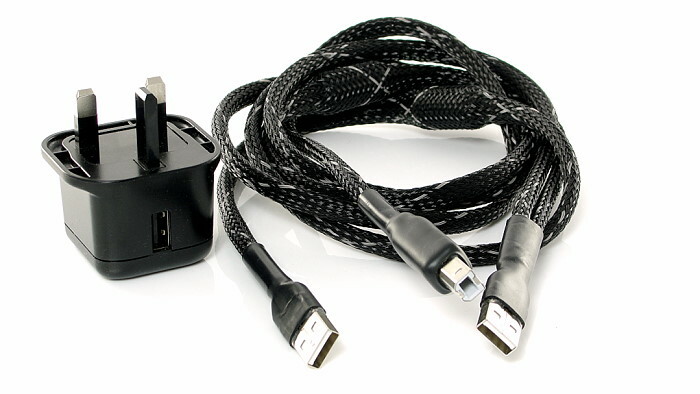 The Lautus USB cable from Graham Slee is a very well performing and well built cable, which serves its objective of delivering the signals from end-to-end with superior transparency. 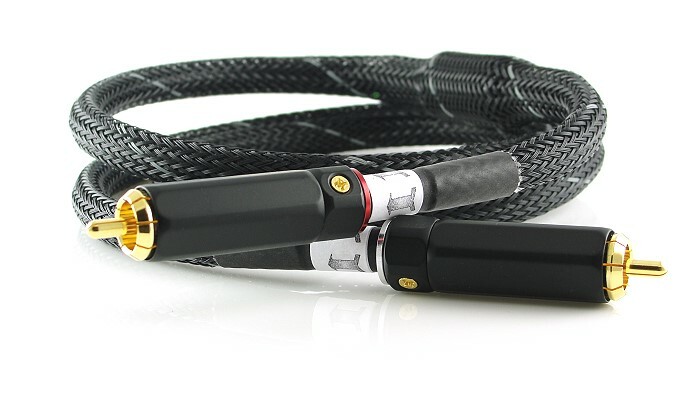 This cable is a great introduction to the sonic upgrades caused by well performing cables. Lautus the best by a not inconsiderable margin... The main recording used was a complex orchestral piece offering a wide range of instrument textures and timbres for comparison and ample opportunity for resolution of micro detail. To my hearing the Lautus offered the best balance of tonal shading and naturalness, combined with a more 3 dimensional presentation of instruments and soundstage. The signature sounds of various instruments seemed more fleshed out and tonally complete. The parts and sub themes of the music more readily discerned and individual instruments more easily identified. I also connected the Lautus USB cable into my old equipment to have a direct comparison with my old cable. O Boy, I had expected a very good cable, but this cable is spectacular. It is almost incredible. And, so you just know, I am comparing it with a well known supposed to be very high end USB cable. The Lautus is an absolute bargain if you ask me for my opinion. I am going to order a second cable. A generic USB cable in place of the Lautus USB throttled the sound. In comparison it had softened dynamics and constricted depth, along with veiled detail. Going direct to the Bitzie with a generic cable would still provide a quality jump over computer sound cards, but the Lautus allowed it to perform at its best, and the Bitzie bundle with the Lautus should be heavily promoted! Bass is much clearer with better texture and depth, voices project with crystal clarity, detail is improved all around, yet with a very natural sound - no harshness at all. Songs that I had struggled to understand the lyrics of suddenly snapped into place - that was quite a surprise. Drums really benefit by 'escaping' the speakers, if you know what I mean - that feeling of being in the presence of musicians is greatly enhanced. I'll be putting them through their paces further over the next couple of weeks, but so far I am very impressed.